The coxswain is the brain and motivation of the boat. Their job is to maneuver and encourage the rowers to victory! 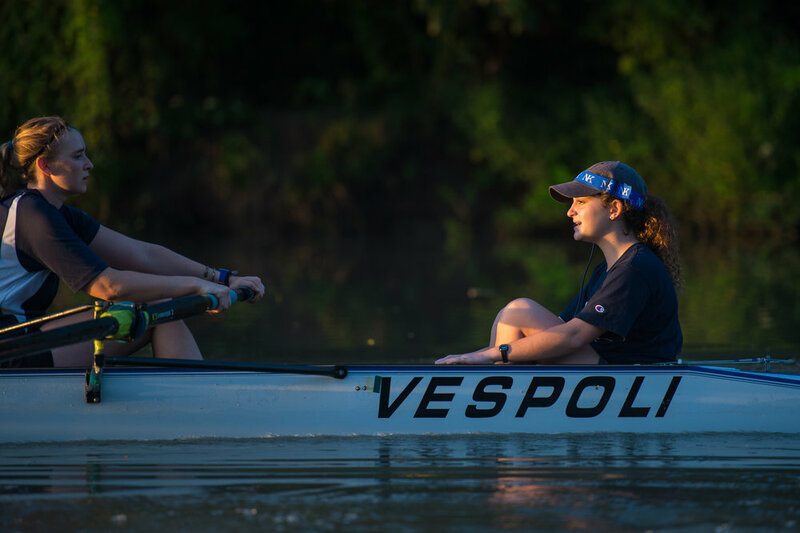 The coxswain must be able to make quick decisions, be confident to command the rowers, and motivational to encourage the rowers to put in 110%. Coxswains are only required to come to water practices, but are welcome to come to land practices and join those workouts. The time commitment (3 days a week) for a coxswain is less than that of a rower (5 days a week) and coxswains travel and are part of the Rice Crew family. If you're interested, please fill out the recruitment form on this website and note you are interested in coxing.